Voice Prompts for Elastix. Professional sound recordings by our native speaking voice artists. When first installed, American-English is the default language of Asterisk. To allow your customers to use all of Asterisk’s features it’s essential that you have your customers language installed instead. If your customer tried to leave a voicemail, or use many other features of Asterisk, they interact with the telephone system in the language installed. If they can’t speak English then your in trouble. The Elastix recordings can transcoded into any format you choose, such as alaw, ulaw, wav, mp3, gsm and many others giving you the scope to select the format that fits your telephone system. 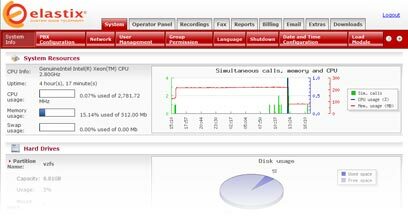 The recorded sound files support all the features of Elastix right out of the box. These include voicemail, ivr, call queues, call transfers, call parking, conferences, torture menus, error messages, numbers, alphabet and phonetics.